This blue coat is thick and has brown-plaid lining. 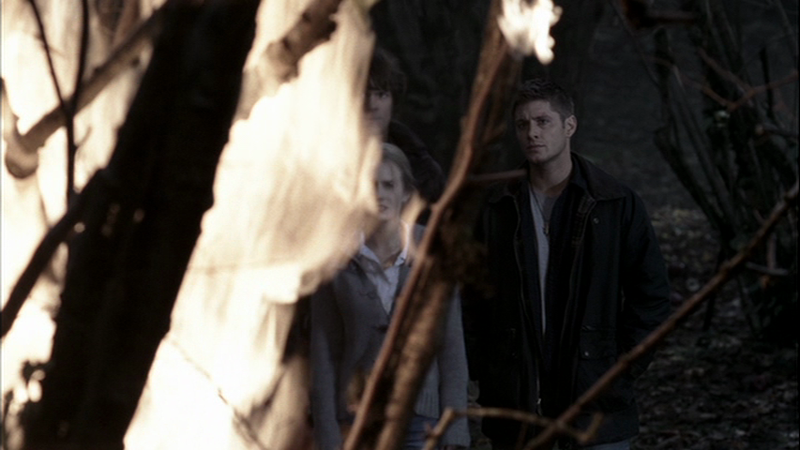 It must keep Dean warm. It also has two nice huge big pockets on the front for missing-persons reports and lighters. It's first appearance is in Scarecrow (1x11), Dean wears it for his entire time in Burkittsville. In Faith (1x12), Dean wears it to the faith healer in Nebraska, and keeps it on for the remainder of the episode, except while researching in the motel room and saying goodbye to Layla.